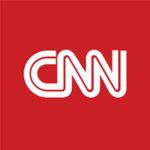 (CNN)The acts of hope and courage shown in Algeria and Sudan over the past weeks felt ever so fleetingly like a reprise of 2011’s broad social awakening across the Arab world. But “Arab Spring 2.0,” as it has been called, is a reboot full of bugs that many users may seek to uninstall. Algeria's President finally resigned. Will that be enough to quell protests?In Algeria, Abdelaziz Bouteflika was 82 when he resigned, having barely been seen in public since a 2013 stroke, setting an all-new low bar for a dictator’s interaction with his regime. And Omar al-Bashir, forced out by the military this week at the age of 75, let living standards fall inexorably after three decades of repressing Sudan. He’s also wanted by the International Criminal Court for crimes against humanity, war crimes and genocide.None had the ability or desire to relate to the young populations rising up to demand their removal. None had militaries willing to sustain them anymore or, for the most part, use violence on protesters. But the world has evolved, perhaps slipping backwards, since 2011 — more cynical, less ideological in its centers of power.We witness these changes less enamored with the aspirations for a better life that are keeping many in Algeria and Sudan still out, protesting, as their dictators’ successors measure up for curtains in the palace.Read MoreThe Arab Spring’s momentum emerged after years of doubt in Western processes, fueled by the disastrous Iraq war. Suddenly, despite how deeply discredited the West and its democracies had found themselves, Tunisians and Egyptians wanted little other than more freedom, and would take risks to get it. The Obama administration somehow saw part of its agenda for change as reflected in this inevitable shaking of the regional carpet, and fomented it. The internet made this desire for change real, new and immediate for anyone who cared to see it. The 22-year-old activist in that iconic photo says she chanted from atop a car to declare, 'Sudan is for all'Today we are older, if not necessarily wiser. In 2011, social media was the catalyst. 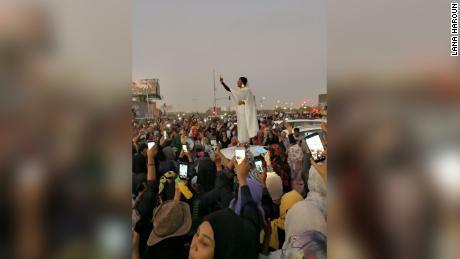 Yet now, as we admire the image of a Sudanese woman, Alaa Salah, in flowing white tobe and gold moon earrings, standing on a car and addressing the crowd, she is surrounded by a sea of smartphone screens capturing her bravery. That is the norm, an accepted part of life. Videos of brutality or defiance aren’t so much cause for viewers to pause in horror or awe of their contents anymore, but instead tend to incite Twitter spats about their authenticity.But the most significant change in the past eight years is in the White House and Brussels. Places that once stood tall, demanding that outdated and unjust dictators heed the will of the streets, are too absorbed by their own rifts now to forcefully articulate convictions.The US State Department’s Deputy Spokesman Robert Palladino has said meekly that the “Sudanese people should determine who leads them” and should have quicker elections than those currently planned — hardly a strident and supportive speech from the Rose Garden. 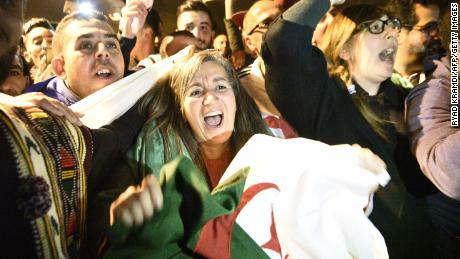 Similar noises have been made about Algeria, despite the interim president Abdelkader Bensalah — who has pledged elections in three months — hailing from the same “pouvoir,” or social elite, that enabled Bouteflika for two decades. Tear gas and further demonstrations will follow, even if the European Union has too much on its internal plate to speak up louder than the usual call for free and fair elections. 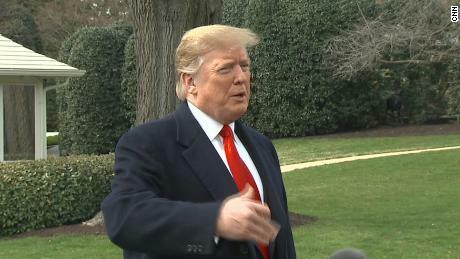 Trump claims his Syria strategy hasn't changed Those eight years have given us reasons to see strongmen successors as the lesser of some evils and, you could argue, mean that Western leaders are more silent due to experience. The turmoil of Libya, unable to find peace or coherent government since 2011, has spawned a human trafficking nightmare for exploited migrants on their way to Europe, along with an ISIS affiliate. The Syrian people’s hasty bid to replicate Tunisia’s peaceful change led to al Qaeda and ISIS taking partial hold, hundreds of thousands dead, the use of sarin gas on babies, Russia’s brute force emerging as a new totem in the Middle East, and the dark reassurance of Bashar al-Assad that his father’s savage ways will win out.Egypt went full circle, veering wildly off towards Islamist leadership after the fall of Hosni Mubarak, and then after an unspeakably brutal military crackdown, back into a dictatorship likely worse than that which brought Egyptians out in Tahrir Square in 2011.But the vectors that led us to change in 2011 and 2019 are the same. People are younger, poorer, less equal and slowly hotter, hungrier and thirstier before. These are problems that exacerbate each other, and while strongmen always stand in the way of progress, rare is the successor who offers a new path forward.